We are so thrilled you are here. 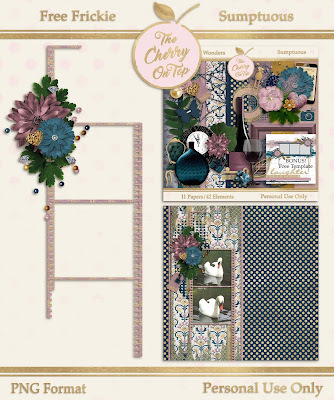 I've got a nifty new free Frickie for you, really beautiful page inspiration and some fabulous new scrapbooking templates that I'm sure you are going to just love. These templates took me so long to design which means we did the hard work for you. 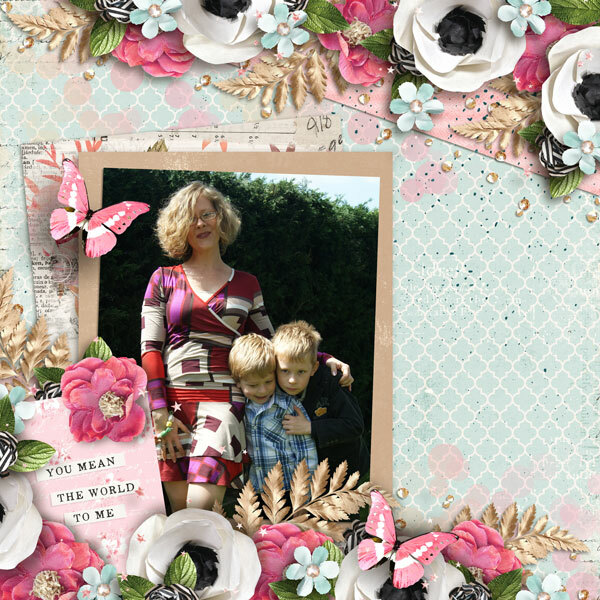 I could not have done it without the help of Dana from Made By Keuntje. I used some templates she specifically designed for me for this template idea I had. Keep reading to find more awesome, free goodies from Made By Keuntje. I'll admit, I did attempt to clip in papers to my flowers, but I just wasn't loving it. I would recommend using a tiny design paper for them or solid paper to clip in. Of course effects will look awesome, too. Use your paint tool to color the flower you want, then add an effect or clip in a solid paper and add the effect to that. Play around and see what you like. 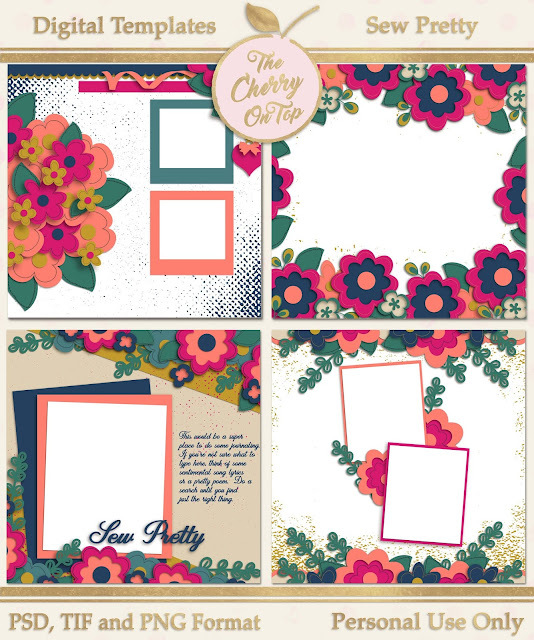 You can also use these flower templates on other pages as long as it is for your own personal use. Jarmila scrapped up one of my favourite birds. I love birds and these guys are at my feeders everyday. Both in Belgium and in Germany. They stick around through the winter and they make one heck of a mess rooting through the seeds for the sunflower variety. The pigeons, black birds and doves are grateful for that. Jodi from Throwing Some Scraps Around has scrapped a beautiful page with a sleeping beauty. She used her and Dana's collection, You're My Little Boy. She also kept the flowers because she loved the stitching. Yay! It gives the flower a whole other level of awesome. Look at those fantastic flowers. They and the stars are floating right off of the page! Rochelle replaced the flowers and used gorgeous goodies from Aimee Harrison. Charity scrapped a fantastic page. I love the picture, too. Wouldn't we all just love a relaxing trip to the beach? Especially, if you're looking at a winter wonderland. 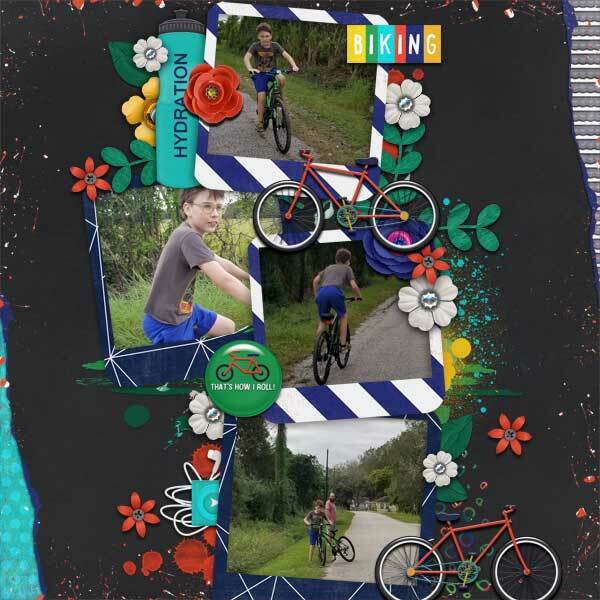 Rachelle scrapped a seriously fabulous page and she changed the direction of the template which is a great way to recycle templates you've already worked with or customize them to fit your needs and of course, more loveliness from Aimee Harrison. 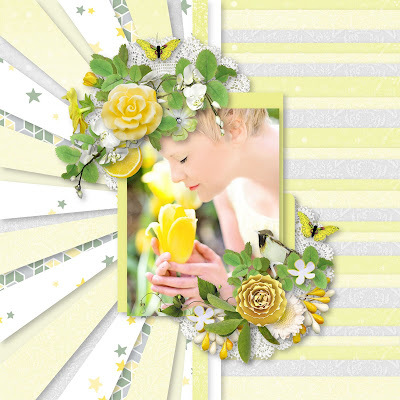 Hilary also used flowers and foliage from the scrap kit of her choice which was a real beauty from Flergs. His attire and those gears look perfect together. I've got a new freebie for you. I coined this kind of freebie a Frickie. You can use it as a frame or a quick page. Just add your pictures and a paper in the background and you've scrapped. Remember, our freebies are for personal use only. This is what I did with it. You can scrap so quickly with freebies like this. I added just a very few elements from the Sumptuous kit and my pictures and I was finished in less than 20 minutes. If you are a newsletter subscriber, you can expect this lovely freebie in next week's newsletter. 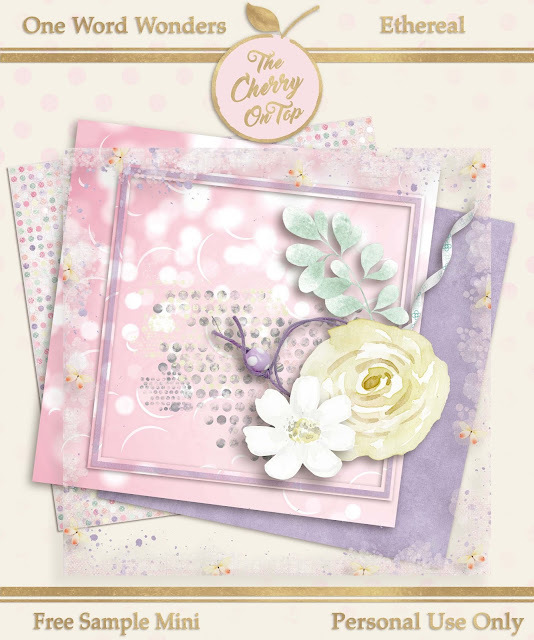 It's also a peek at the newest One Word Wonder kit, Ethereal. I'll tell ya now and I'll remind you again in the newsletter. There is one element in this free sample that will NOT be in the kit in the shop. It's a bonus gift for our loyal followers and it is really awesome. You can just see it on the preview. It's a grungy, artistic flavored edge peppered with paint and ethereal butterflies. See it? It looks gorgeous on the papers from the kit. There certainly are huge advantages to following us in our social spots. I've just given away several products from my shop to lucky winners in our group on FB. The group is THE place to be for scrappers either traditional or digital. 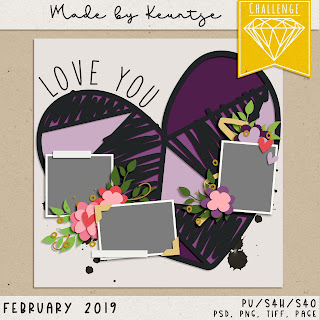 I've got monthly challenges and I'm always sharing free stuff there and on our Page. Fans are welcome to post their pages from any designer and ask questions. Here are some other freebies from around DigiLand. This image below, is linked up to Dana's group on FB. You can also visit her site to find even more freebies. 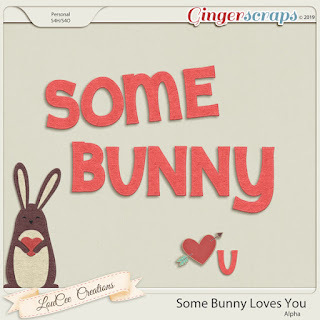 Check out Dana's and Dagi's new collection at Gingerscraps. The image is all linked up for you. Thanks so much for hanging with The Cherries. 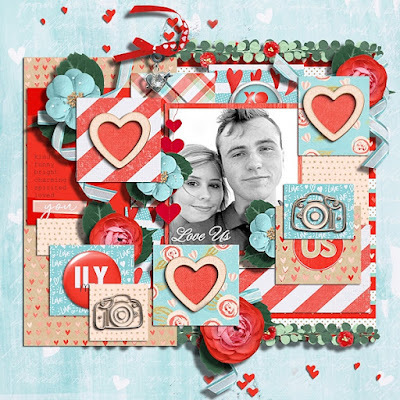 We've got yet another blog full of fabulous digital and traditional scrapbooking on tap. 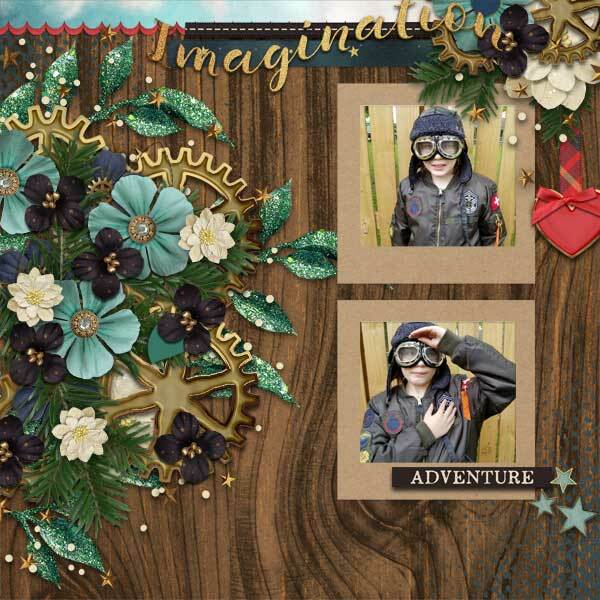 There are fantastic new templates in the Kreative Design Studio, that I just know you are going to love. As per Friday, we've got drool worthy page inspiration. There is the Pixel Scrapper Blog Train. 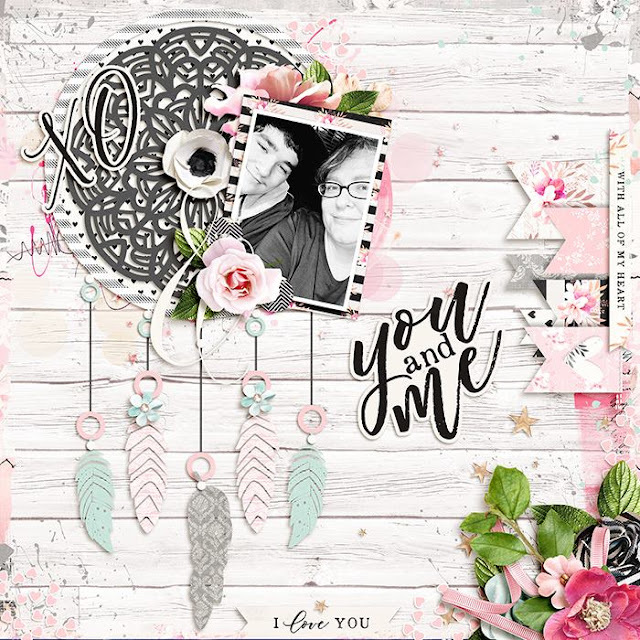 I'm giving you a link to get a free collection from the Scrappy Sisters as well as other freebies including our 52 Reasons Why I Love You, free printables. This will be the last few days of the shop Scrappy Sisters. Though it breaks my heart, I'm equally thrilled that I still have my Etsy shop. 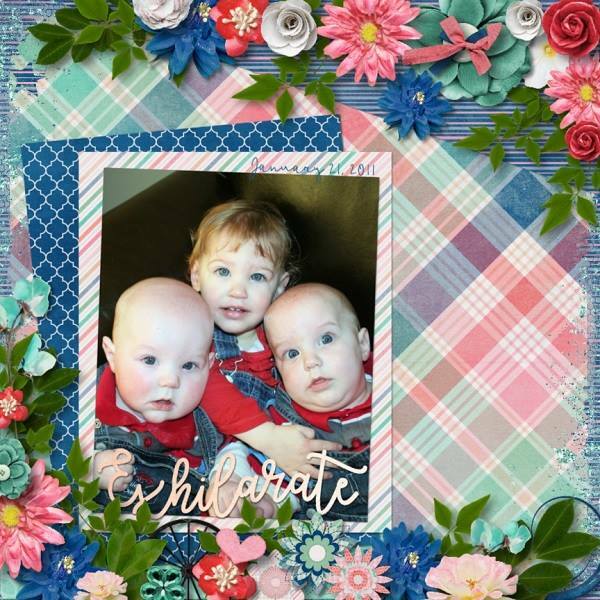 It will take me some time to get all of the templates that I had exclusively at Scrappy Sisters into Etsy. It's the perfect time for you to grab EVERYTHING in my SS shop for 30% off, there. These new templates can be found ONLY at our shop in Etsy. I'm in a state of bliss as I go through all of these gorgeous pages my Creative Team have designed with Pistachio and kits and collections from around DigiLand. I've got Hilary's page on tap, first. It's so, so fun! I'm very happy to announce that the mega talented Jarmila will be joining The Cherry's family, too. The goodies are from Butterfly Design. Ngoc used products from Laurie's Scraps. The black is a great contrast to these vibrant colors. Here's another page from Jarmila. She used new goods from BooLand Designs. Remember this collection from last week? I still haven't played, but I hope to change that this weekend. 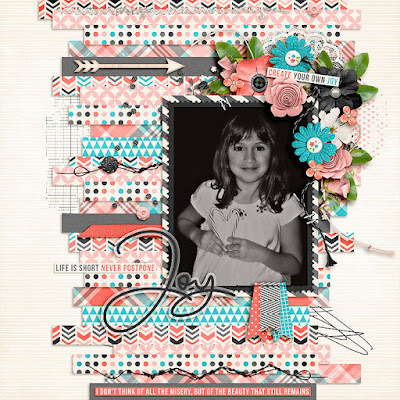 Awesomeness from Kristin Cronin Barrows at the Sweet Shoppe Designs. Wendy was not put off that there were no clusters on this template. She just slapped them right where she wanted anyway. Whoo hoo! Usually I use templates to get me started. Get the ole mojo going and then I do man' thang and so should you. 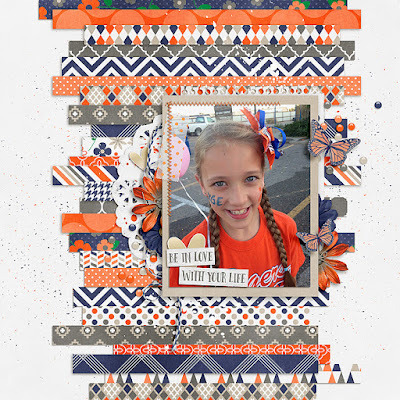 Meghan Mullens provided these scrap-a-liscious papers and ellies and Cassie put them to excellent use. Her page is so cheerful and bright and the light background ground makes everything fit perfectly with the hint of splatter. 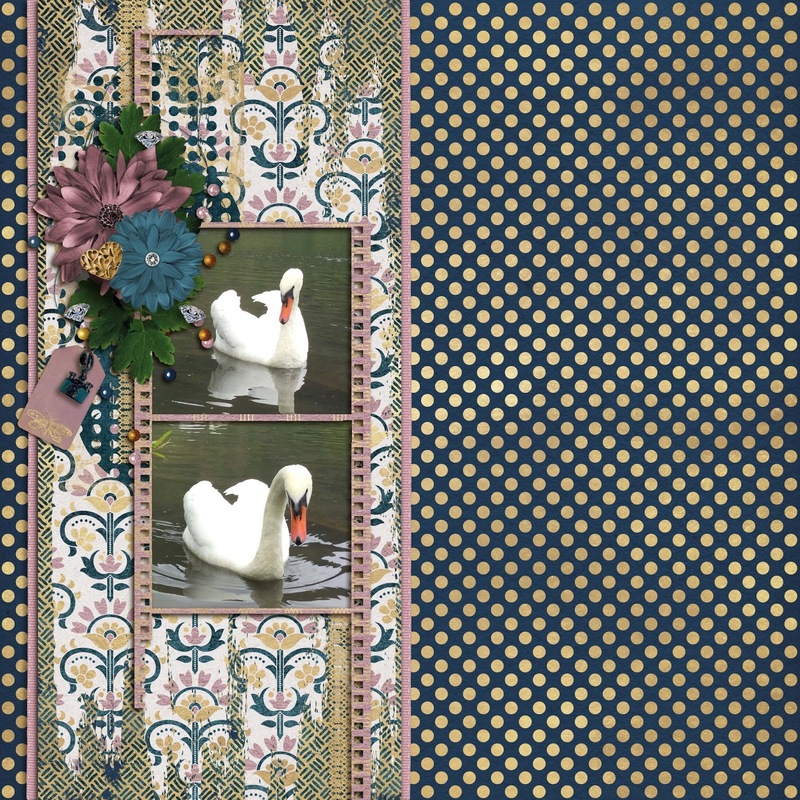 More lovelies from Sweet Shoppe Designs. Here's Rochelle's cutie and a kit from Laura Burger. Are you the type that blends the clothes from the picture with your papers? I love when that happens, but I often don't plan it. It can really make your page feel more coherent. Occasionally, the clothes from my pictures clash with the colors from the kit and that is when it's a no go. I totally need to remember, never to buy a red coat every again. Hehehe...I've got a lot of lovely pictures of my kids going several years with a red jacket and it always stood out on my pages. Grrr....hehehe...If you're savvy enough, you can probably change the color! I love the fact that us scrappy sisters share a part of ourselves and our kids. I've been watching their children grow and it's a lovely experience. Ella takes the best pictures and who wouldn't want to photograph a lady that lovely over and over? Small clusters nicely spread out and great balance with the colors lends to one awesome page. Ella scrapped with, Awesome Together. Find it here. Tanja also used goodies from the Sweet Shoppe. Her shadows are more subtle. It gives her page a different look from some of the others. It's all a matter of preference. Take a close up look at the pages you love and learn what it is the you like so much about them. Above, Ella used a much more dramatic shadow. Danica's page flows so beautifully. It reminds me of a cloud floating high in the sky on sunshiny day. The pop of black is a nifty touch of contrast. She admitted that not using clusters was a challenge. Hehehe...I never even thought of it when I was designing the template. I guess I felt all of these lovely layers was enough. Lovelies from KimB. Find them, here. 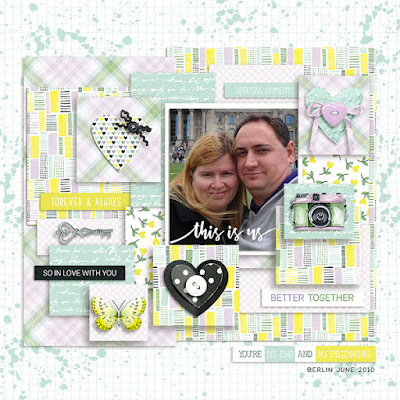 You remember my page from last week using LouCee Creations new kit, Some Bunny Loves You? 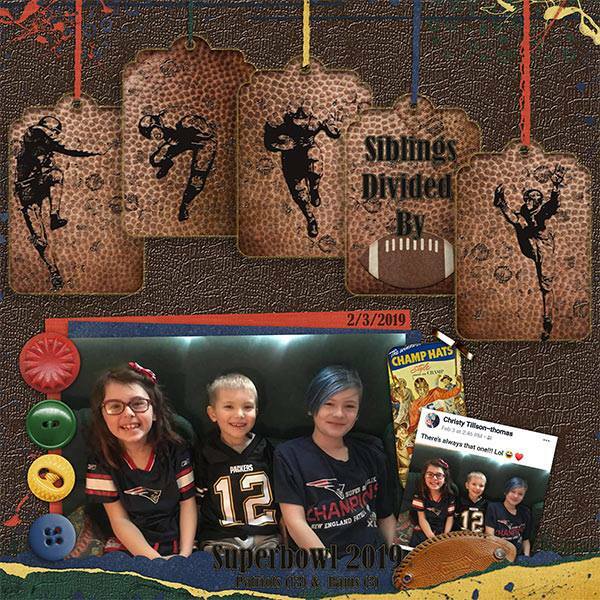 I thought it would look SO cool to delete the shadows from all of the "photo" layers, merge them, add the shadow back and insert just one large photo. I still might try it myself. I'm so sure you are going to love these new templates! Feel free to share your pages with our products in our group. 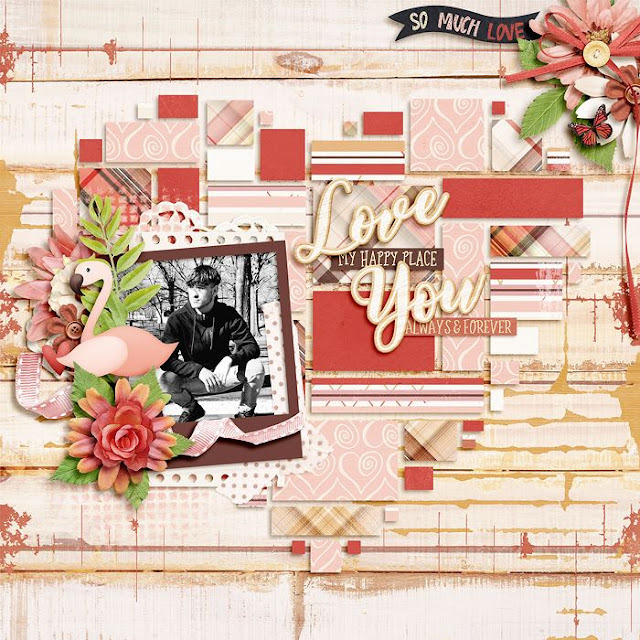 If you are here for the Pixel Scrapper blog train, welcome. I hope you're enjoying our Freebie Friday blog so far. If you are on the hunt for more freebies, keep reading. 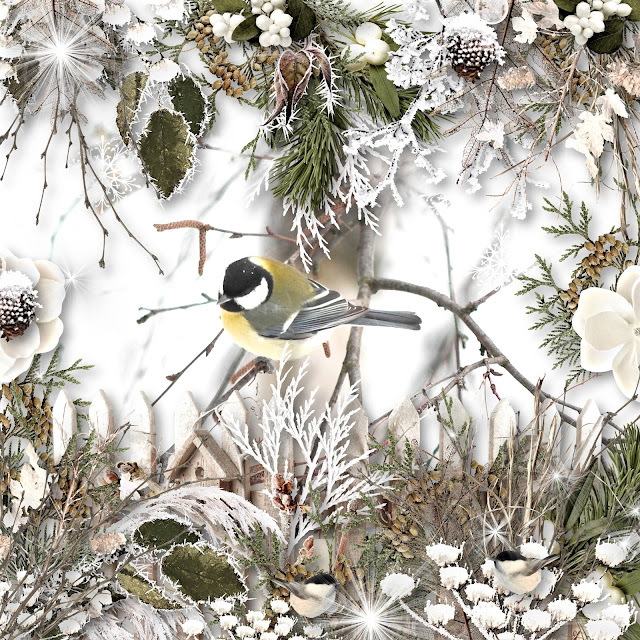 I love birds and I love spring. 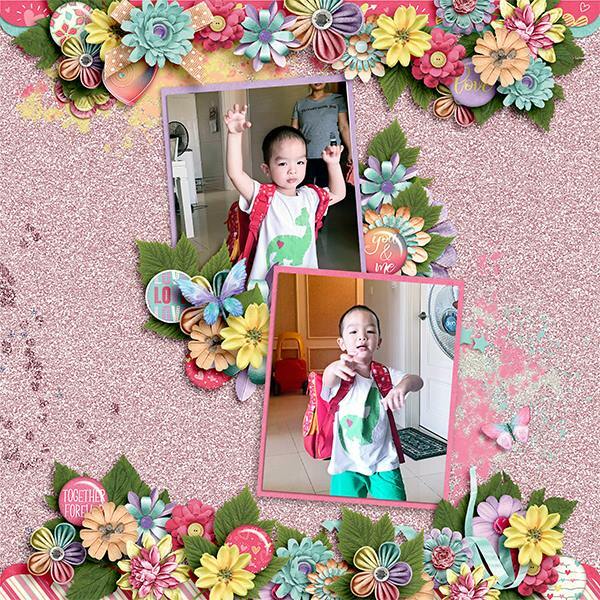 I went with the happy springy colors in our palette and designed this paper template for you. It comes in tif and psd. You also get a wreath and a grungy edge. If freebies are for you then so is The Cherry. We design our very own free stuff and share other freebies from around DigiLand nearly every single day via our group and page on FB. Join us there so you don't miss out. Our newsletter is also a sure way not to miss our freebies, challenges, chats and other going on's. 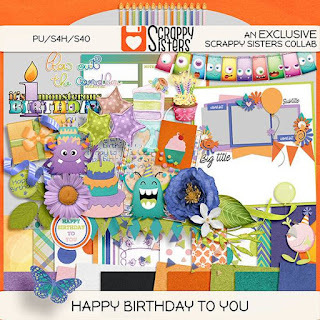 If you didn't get your birthday freebie from the Scrappy Sisters yet, no worries. You can get the collection in the group, but hurry up. It might be taken down after this weekend. Here was our contribution to the last Love For Layout Templates train. You can still get the download. It's really, really fun! 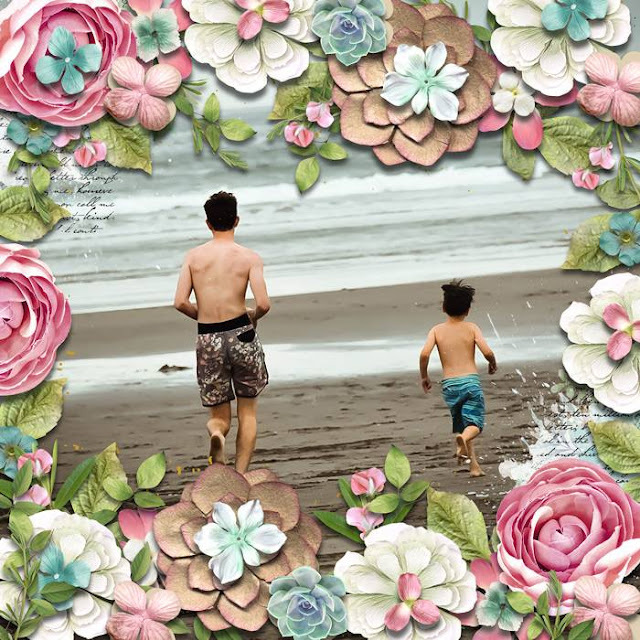 I've you've been itching to make one of those adorable 52 Reasons Why I Love You album, we can help with that! I've designed 52 journaled cards and 4 blank ones and they are all free. 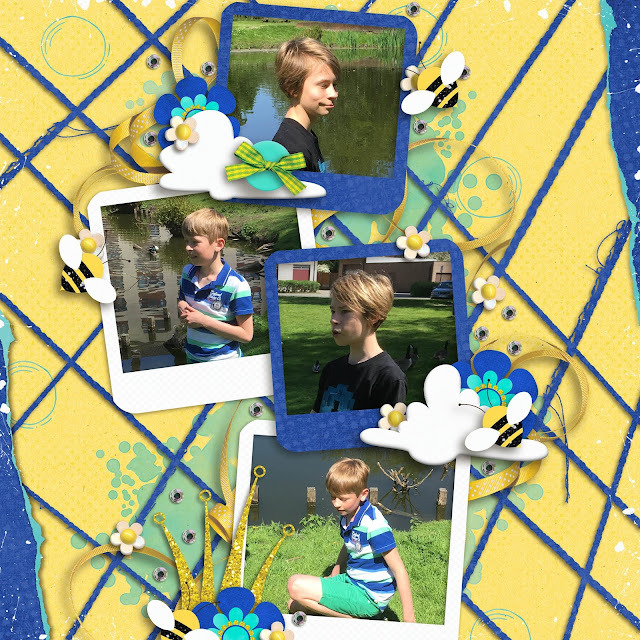 Print them out and bind them as is or add pictures and or your very own journaling to the blank ones. Thank you so much for giving The Cherry a piece of what I hope to be, a fantastic day. Last week we had a fabulous hop around. There were 15 free templates to download and those links are all still live. If you missed it, click on the image of our free template and you'll get swept back to the stops before and after mine. There is also a link where you can find all of the stops. 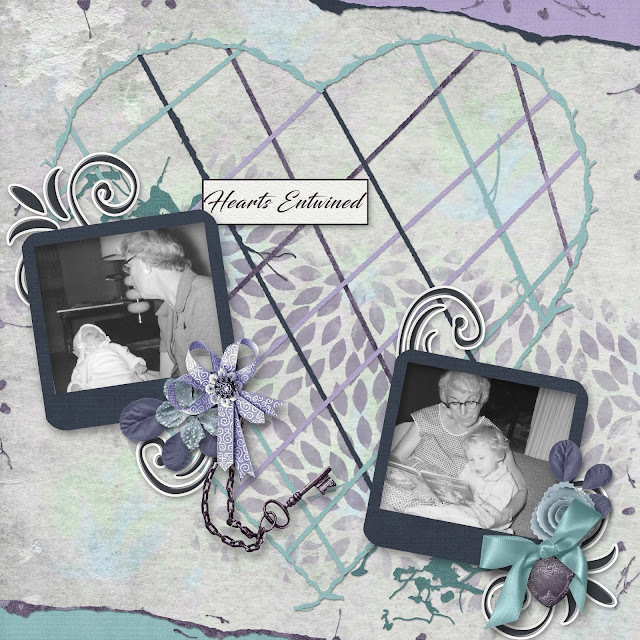 Here are today's new templates, Heartstrings. I bet you've got plenty of pictures that you hold close to your heart. These templates will be perfect to scrap those. I want to give you a few tips and ideas how you could use them via the lovely pages from me and my awesome team. 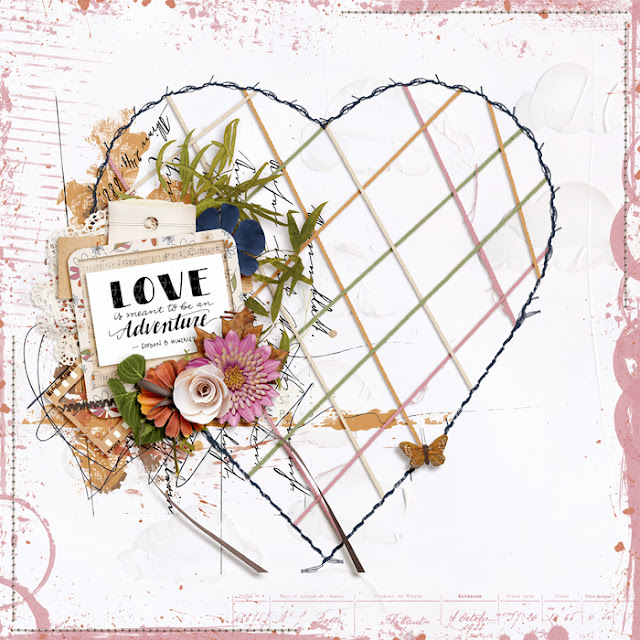 There certainly was an overwhelming favourite in this pack for my CT. Looks like the heart shaped template drew close to their heart. Hehehe...I couldn't resist it either. I often pair up my templates with a kit that resembles them or at least my impression of them. I was thinking jovial, bodacious...hehehe...and so I chose my collection, Trolla Bolla to scrap them. 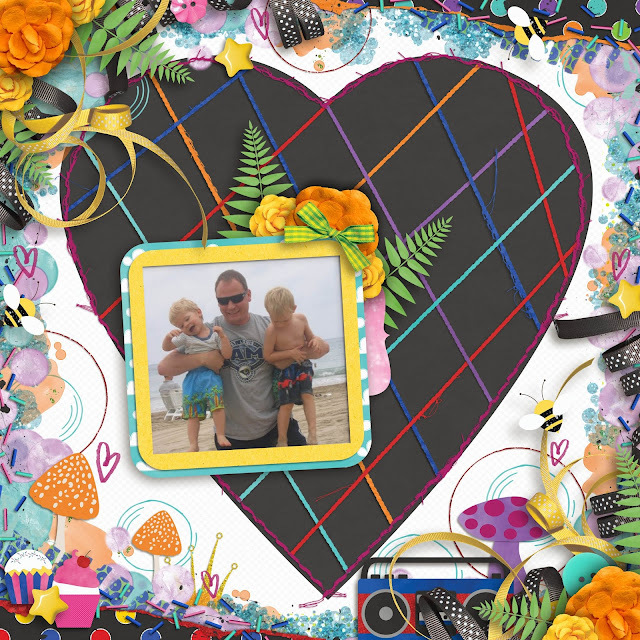 The templates and the collection mirrors my boys and the way I feel about them, perfectly. Their boisterous, over the top, witty, charming, lovable selves. On my second page, I changed the papers around a lot. It always felt so, so busy. I opted for a smaller palette and a lot of repetition with color, papers, elements, etc. The stamps totally brought in a much needed touch to bring it all together. The blue stamp is originally pink in the collection. Consider changing the colors in your kits and collections to make them fit perfectly. For Creative Teams, you might want to ask your designer if it's ok. I was so, so happy to see some soft, natural pages coming in. See if you notice a pattern with these next three, gorgeous pages. They all used fairly subtle backgrounds. Kim and Jarmila made all of the string the same color which can really improve your page if you're feeling it too, busy. Tammy left the center of her page more open and concentrated on the edges with extra texture via guesso and paint. Giving you focus on the center and still leaving the page clean and neat, overall. Hilary ditched the string and put the majority of her work right down the center. The paper strips and paint around the edges lends a nice, even aesthetic. 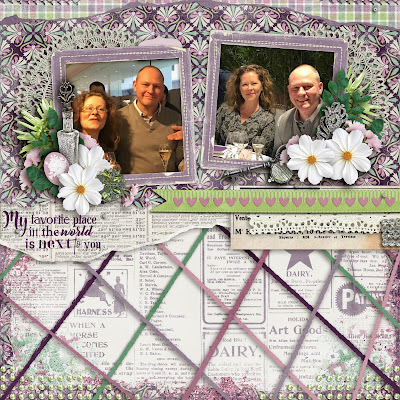 Carol also used soft, pretty colors and gave her page a vintage look to match her photos. Sweet, eh? BIG NEWS!!! If you haven't heard, Scrappy Sisters is closing. I'm giving 30% off from now until closing day. 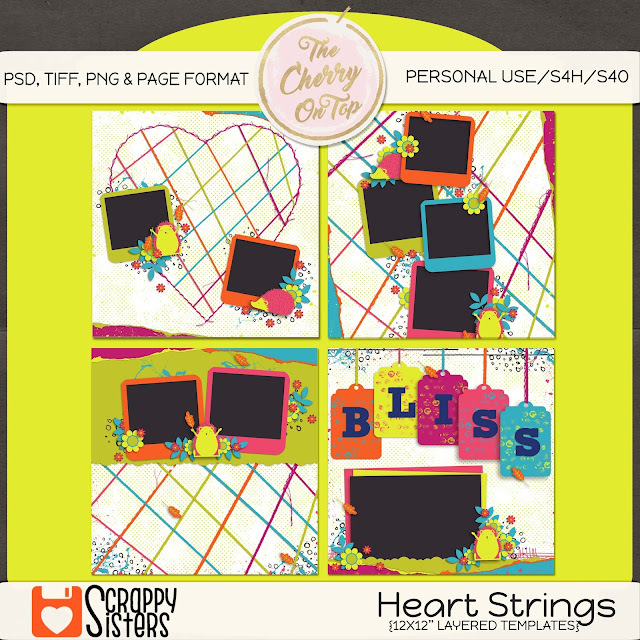 The important part is, most of my newer, larger file templates are only at Scrappy Sisters. I'm working on a way to get them in my Etsy shop, but it might take awhile. 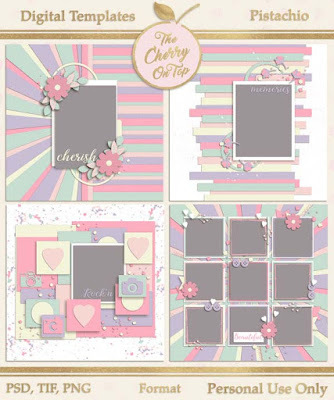 I highly recommend getting any of our templates that have been on your wish list or in your cart. Especially, with the 30% off sale. On to more new products from other designers. 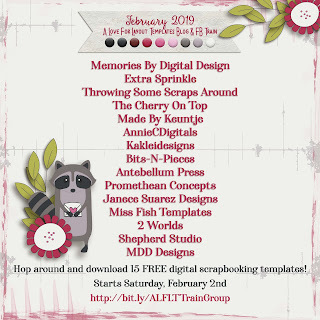 Throwing Some Scraps Around has some mega cool, new templates in their shop. 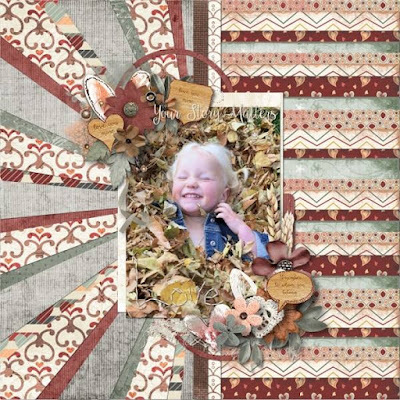 I paired up this one with Hygge from Aimee Harrison. I totally enjoyed this natural, smaller color palette. It's still plenty chilly here and I certainly was chilly sitting outside with my lovely beer, in Germany. Many of the designers contributed to Hygge. Pop over to the Studio and check it out. 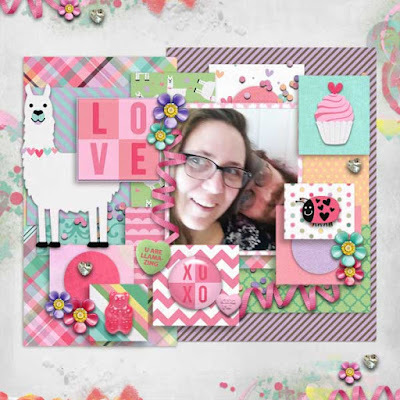 You're getting a sneak peek at some upcoming templates of ours and a fabulous page kit from LouCee Creations, Some Bunny Loves You. That's JJ and Pluisje. They are always together. Cats seem to totally get Autism. I often get asked about pets and Autism and I've written a blog about it, if you are interested. 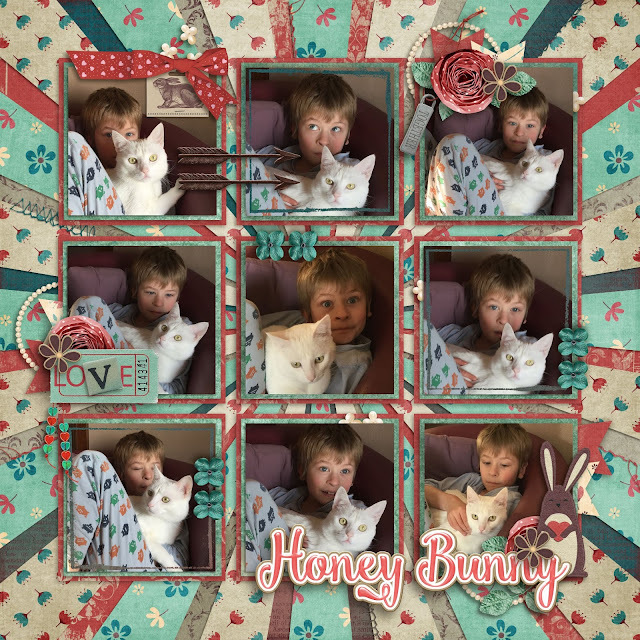 For us, cats, fish and chickens have proven to be awesome pets for both of our boys with Autism. Dogs might not be the perfect match. It depends on the child and the type of dog, of course. Lou often gives a freebie with her new goodies and her newsletters are most manageable. I got this one last week. Pop over there and see what it's all about, by clicking on the above image. 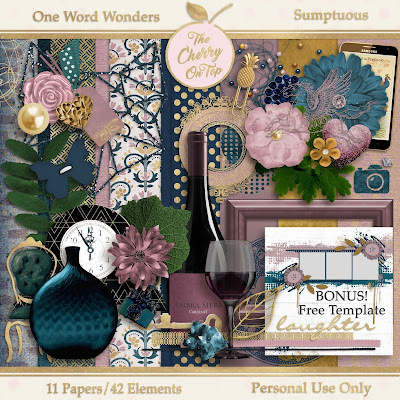 I'm continuing with more awesome freebies that coordinate with our year long challenges and this year's free collection, Because. 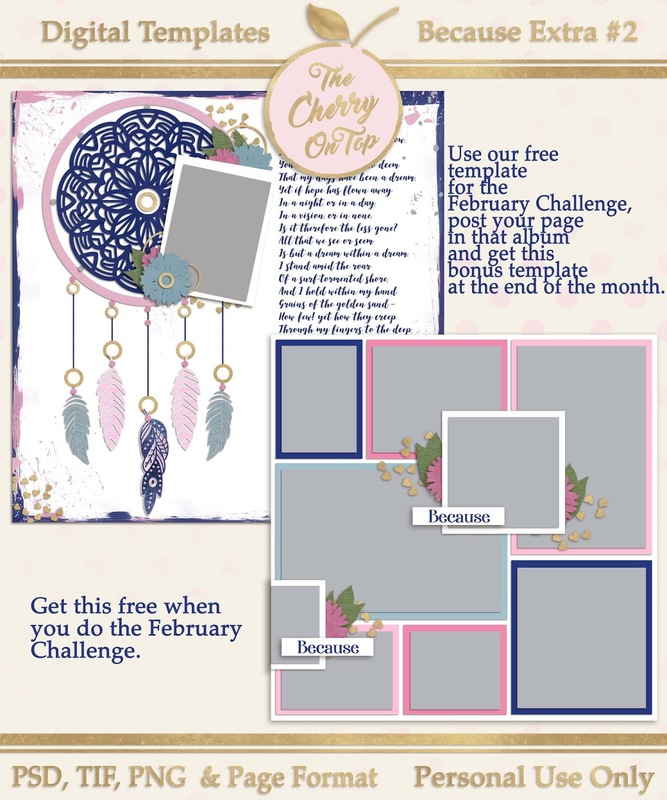 We've given the first month's free scrap kit for January and we've got the link up for February's Challenge now, too. If you play with the template, you'll also get this extra for free, at the end of the month for participating and posting in the right album. 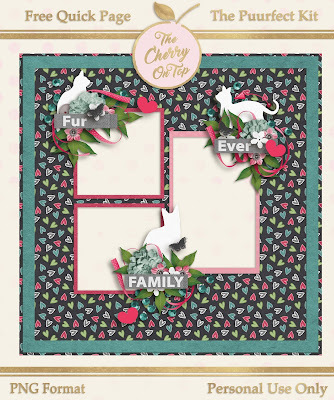 You do NOT have to use our free kit with the template. Look what super scrappy sister Tammy has done with it! Gorgeous, right?! 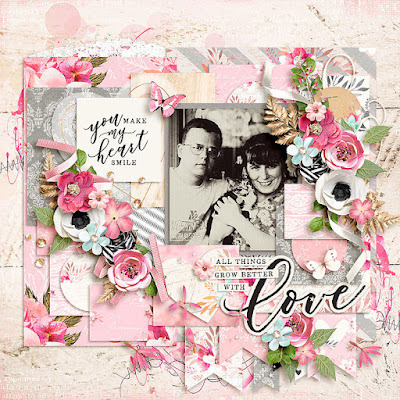 Tammy used a beyond fabulous collection from Kristen Cronin Barrow and I'm smitten with it. Last time I looked it was priced to sell at the Sweet Shoppe, so ya may want to go and check it out. It's now mine along with a few other lovelies. By Your Side is definitely for you. The entire store was on sale for 40% off! If you don't want to miss awesome sales like that, ya better sign up for their newsletter. This is another page from Tammy. 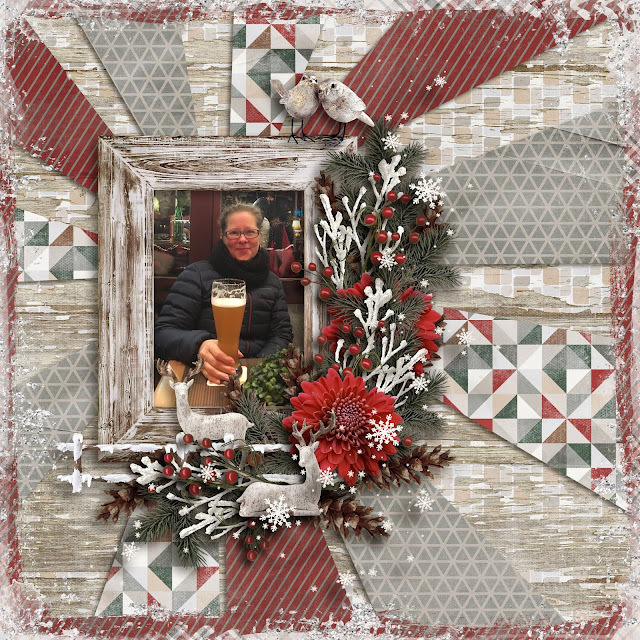 Look at this amazing blending job using our free template from the hop around. This is a kit from Wendy P, You Are My Favorite. You can find it here. 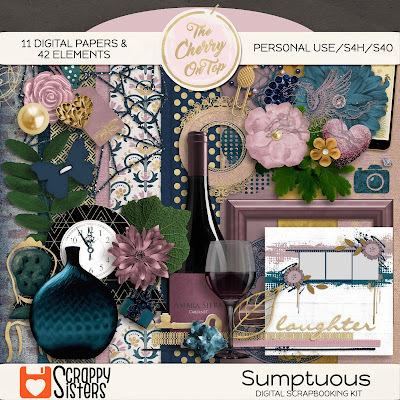 Sumptuous is our first kit with free coordinating template in our One Word Wonders series I'm doing this year. 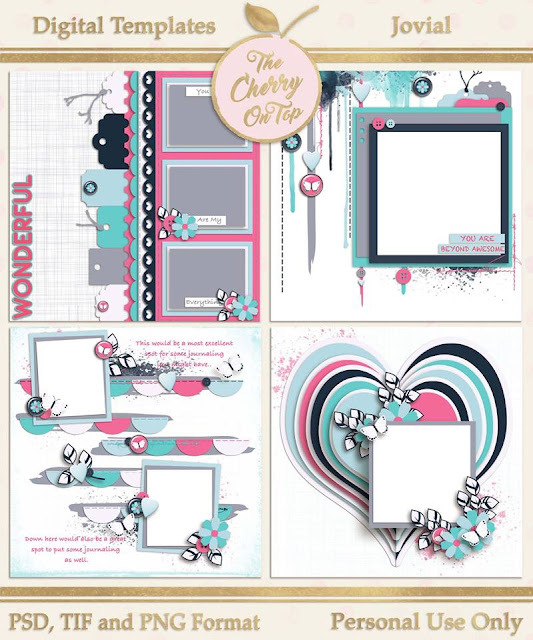 Newsletter subscribers get a free sample of each page kit and a coupon for half off in our Kreative Design Studio. Being a subscriber certainly has perks. Consider joining our list! If you still have not used your coupon for this, ya better jump on that. I'll be discontinuing the discount next week. Here's a free quick page we gave away last week. Click on the image to get the download. Oh! A reminder for those of you doing last year's year long challenge, 52 Reasons Why I Love You. Time is running out!!! Hehehe...No! I'm not finished yet either! Hehehe...Go to this blog right here to get ALL of the free printables and get your tushie in gear. The big day is nearly here. Of course you can give or design your mini album whenever you want. We don't need Valentine's Day as an excuse to show our love and or affection to the special people in our lives, right?! Still not enough free stuff for you, today? Check out these other freebies offered around DigiLand. Sweet Shoppe has a section in their shop dedicated to free samples from their designers. Play with a designer's goodies to see if their stuff is a right fit for you. Here's an example. There are 23 samples!! 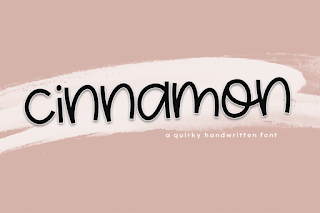 I just downloaded this fun, free font from Font Bundles. If it is no longer available, no big deal. There will be other free ones. Thank you for hanging with The Cherries. I hope we've inspired you, today. 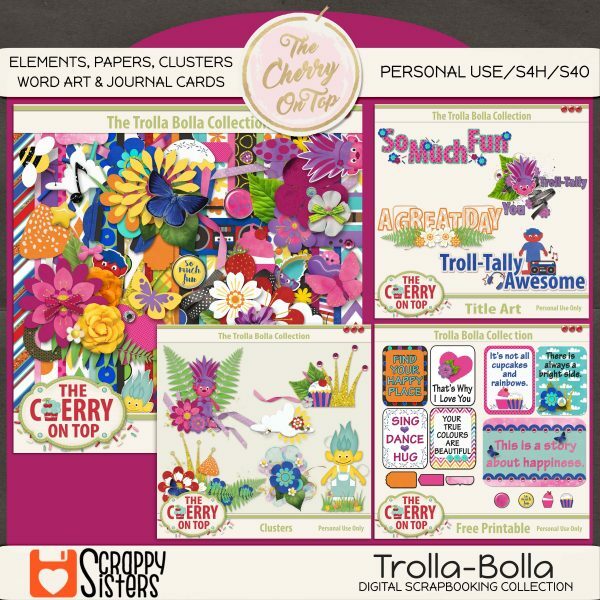 If you'd like to get more involved with The Cherry and hang with our family, consider joining our social spots and our scrap-a-liscious group.